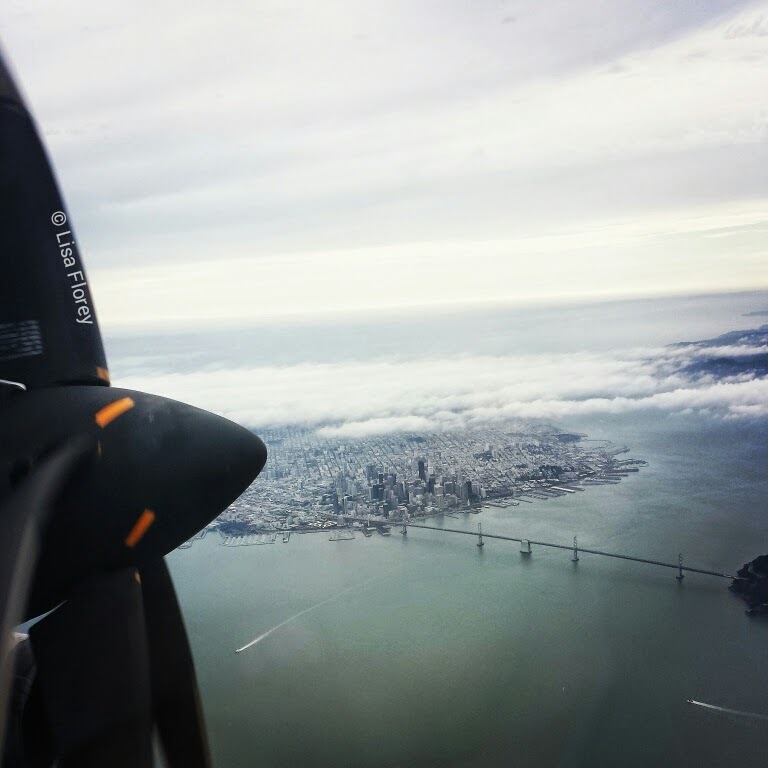 Tiny City: View of San Francisco from the prop plane. For all the things I have to "put up" with as a deaf person, I've learned to take full advantage of the perks when they are available -- and not feel guilty about it. 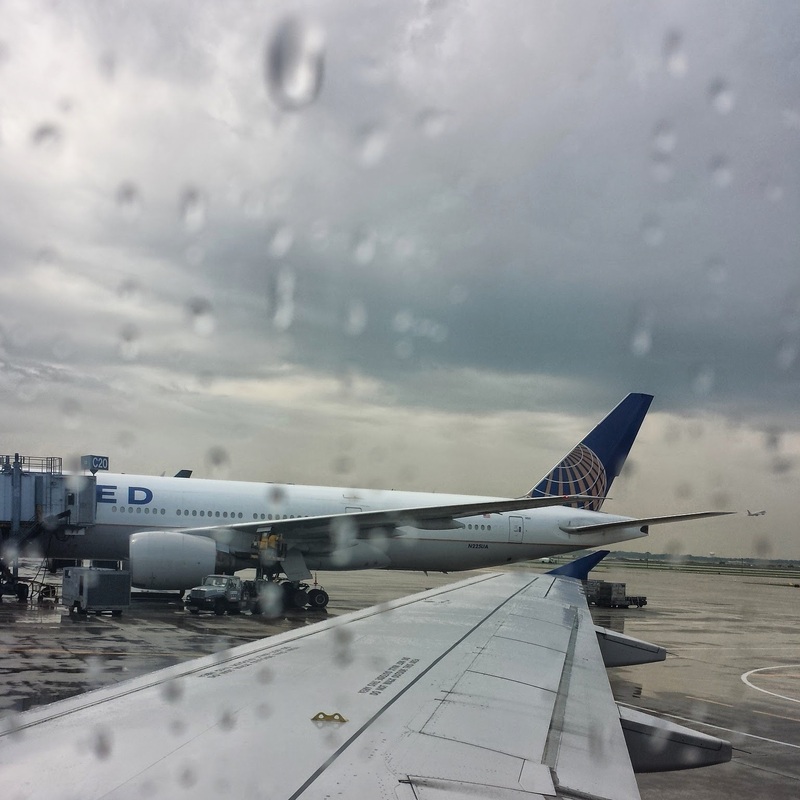 Take my departure from Chicago O'Hare on United Airlines to San Francisco. Instead of being "on alert," watching people, and trying to figure out when I was supposed to board the plane, I went up to the gate agent and asked if she could let me know when I could board. Instead, she told me I could pre-board, and I was the first person to set foot on the plane. Not fair, you say? Try this on for size: Go to the airport with your ear buds in and music turned on full blast and see how well you can function. You'll miss gate change announcements; try to board at the wrong time and sometimes be asked to wait and board with the right group (it's happened! ); walk through TSA and not be able to tell whether or not you set off the alarms (and try not to make TOO much eye contact at the same time); stand in the bookstore with a backpack on, blocking an entire aisle and be engrossed in a dust cover while a ticked-off person stands behind you repeatedly asking you to please move -- and when you finally feel their presence, you feel like a complete loser. Once you get on the plane, keep them on. You'll miss the announcements about flight delays, when you can turn your electronics back on, and notifications of upcoming turbulence (that's an especially fun one to miss out on). I could keep going, but you get the idea. On my flight from O'Hare to San Francisco, there was a delay. Or maybe more than one? I have no idea what the holdup was, but we sat at the gate way past our departure time, then on the runway a while longer. All I could think about was that I was going to miss my connecting flight in San Francisco. What made it funny (ok, not funny for anyone else) was that there was a crying, screaming toddler in the seat behind me. I probably would not have noticed it if Cute Guy in the seat next to me hadn't pointed it out with his uncomfortable body language and pointed looks over his shoulder. Or if several other passengers hadn't turned their heads to look in my direction, making me wonder what was going on behind me. I probably didn't help Cute Guy's displeasure much by telling him I couldn't hear a thing (I'd switched my implant off by this time, since the airport din had overwhelmed me). For once, it was nice to be oblivious. When we landed in San Francisco I had a negative amount of minutes to grab my bag and run to my connection. Eleven gates away seems like an eternity, especially when you have to pee. Somehow, I made it -- and in the end, I could have just walked because the flight was delayed. 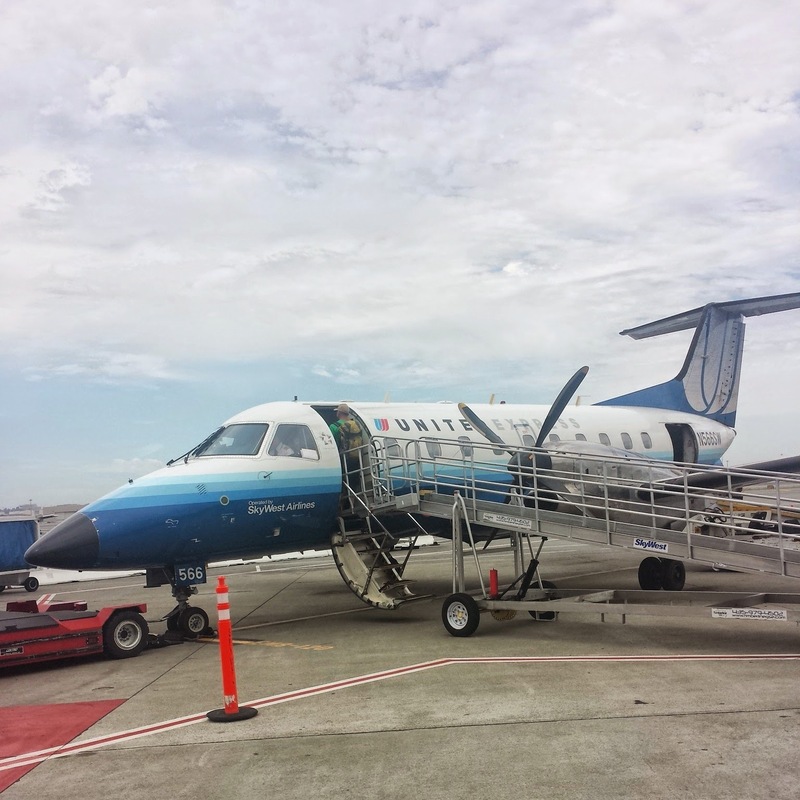 It was pretty neat to fly on a prop plane! My seat was next to the propeller, which I am sure was very loud, just based on the vibrations. I saw the flight attendant pop in some earplugs before takeoff. The views were great! 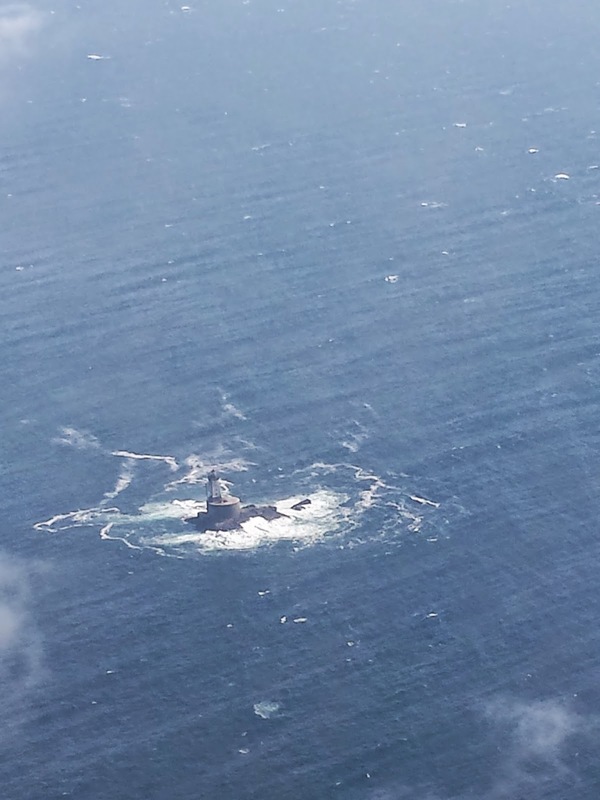 I even got a glimpse of the remote St. George Reef Lighthouse as we went in for our landing. This lighthouse was first lit in 1891 and is not accessible to the public because of its hazardous location six miles offshore. More photos & stories to come! These are just plane window photos. I was in awe all week, walking through the groves of redwoods, watching the Pacific Ocean, and even a bonus trip to Crater Lake National Park.